Sacramento, we're coming your way! Save the Date! The Oakland Jazz Choir, (OJC) a non-profit, has been an East Bay institution for over 25 years. During this span the group has taken many shapes, sizes and forms but the common denominator has always been the same: Joy of expression, using the voice to communicate the triumphs, as well as the turbulence, of the human spirit. We are committed to bringing vocal jazz to underserved audiences in the Bay Area and beyond. Choir membership includes 17 singers, as diverse in age, religion, and race as our hometown. This multicultural, multi-talented, multi-generational group of people volunteer their time, energy and skill to produce some of the sweetest harmonies around. OJC delivers exquisite 5 and 6 harmonies performing original and contemporary arrangements that include pieces by hit makers such as Herbie Hancock, Sonny Rollins, Quincy Jones, Henry Mancini, Duke Ellington, Pat Metheny, as well as Bobby McFerrin, Thelonius Monk, Tower of Power, Tears for Fears, Earth, Wind, & Fire, & Michael Jackson. We have been singing and bringing innovative, and unique vocal jazz to the Bay Area since 1992. 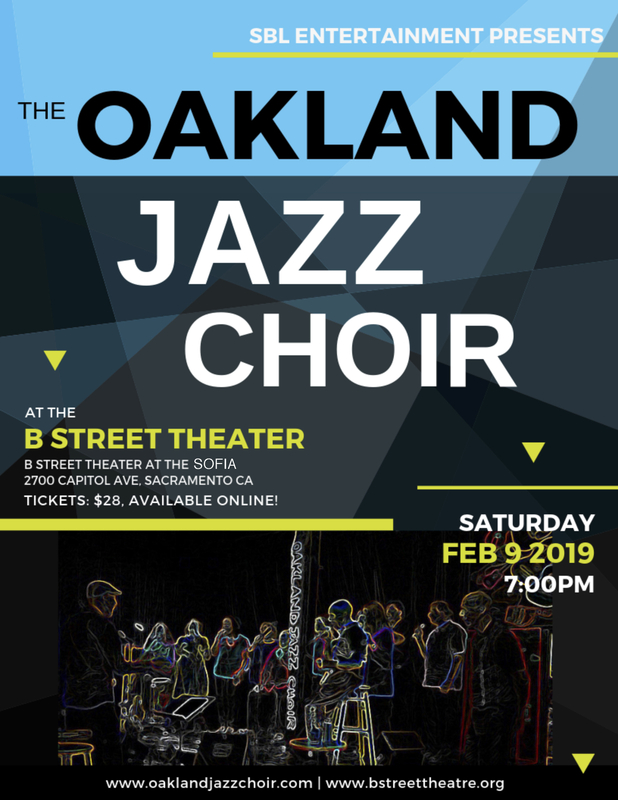 Oakland born and bred, we are one of just a few community jazz choirs in the nation singing cool original, and standard jazz material in a distinctive choral jazz setting.